“You have a beautiful glow in skin!” Hearing these words from a friend, I knew I hit a gold mine when it comes to beauty products. 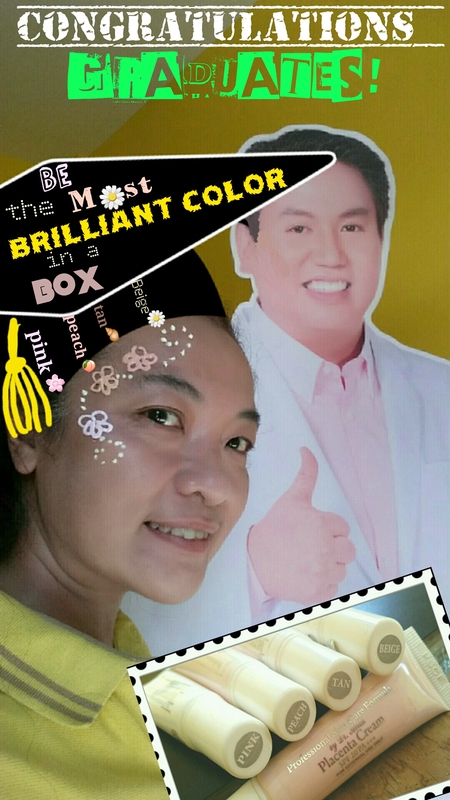 It was only three days of applying the skin whitening ng product given by Alvin R. Matulac through his company A.R.M Skin Essentials Corporation, when they already show pleasing result. From then I knew am going to buy again. After a month, following Alvin’s advice, I then tried using his anti-aging product. 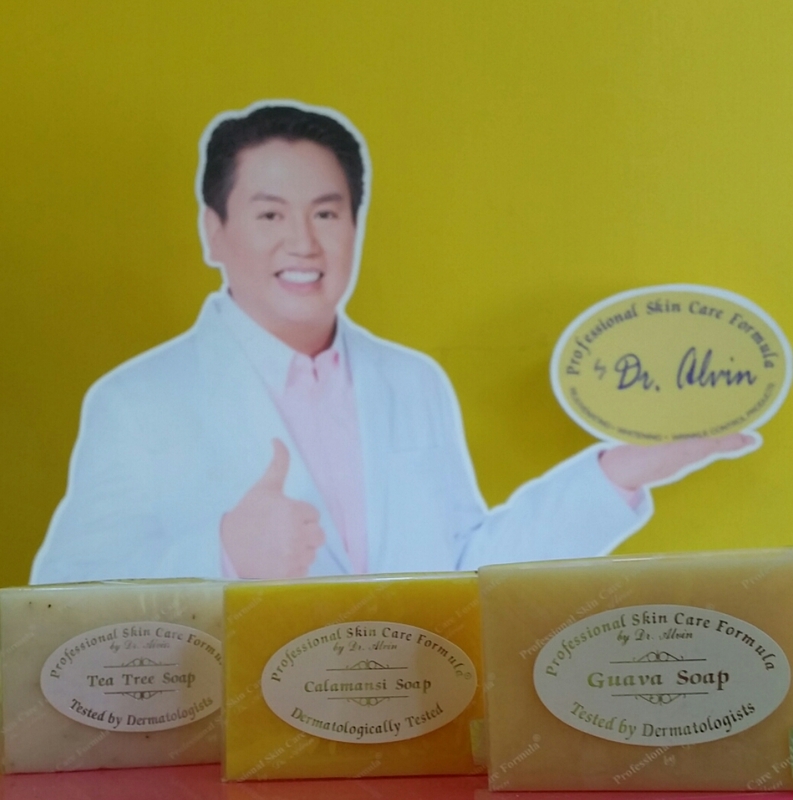 A week after, my former co-worker then commented, “Whatever that product you are using for your skin, it really did a great job and please sell them here because am going to buy.” From that moment on, I texted Dr. Alvin R. Matulac for the permission to sell. To this, I agreed and waited. March 12 came and I still have not received any update. I texted Judith once again and so she suggested to go with me even without her sister. To this, I texted Dr. Alvin right away and the date is set on March 18, 5:00 PM. He then suggested that we take our dinner in their house because it is going to take long, perhaps until 11:00PM. “That long!” Judith replied to my forwarded message. But despite the surprise we both agreed to the schedule because an efficient beauty product is not something that can keep waiting. March is the beginning of a searing hot summer, yet when 18 came, I knew I just have to be valiant about the roasting temperature to get to the place where my skin will be treated well. Upon climbing up the bus, I texted Judith and Alvin to remind them of the arranged seminar. Alvin confirmed the time and the place where Judith and I will be picked up. I then coordinated with Judith as regards the manner with which we will go there. At 1:30 PM, I arrived Manila from Tiaong, Quezon. After my meeting with another person, I set out from La Salle Taft to get to PGH where Judith is receiving her training in Microbiology. By the time I reached PGH, it only took 5 minutes of waiting until Judith came in sight. With great anticipation did we travel along the long stretch of Taft Ave. and España in a cool FX taxi-jeep. Upon reaching Welcome Rotonda Judith asked me if I still knew where Capitol Medical Center is, I answered positively. Yet, that query made this certified probinsyana’s back to depart from its restful leaning position. I stretched my neck up letting my head stick out above the rest of the passengers in order not to miss the hospital. When an imposing blue building caught my sight, I halted the taxi-jeep with the break word “PARA!.” Hurriedly did we jumped out of FX to silence the beeping horns of cars behind. As soon as we landed the street, our feet walked us towards the café where we took a little bit of a snack in order to wait a while because we are an hour and a quarter early. Hoping for the possibility of being picked up early, I texted Alvin to announce that we had arrived. Alvin however gave no reply, perhaps still engaged in another meeting, so we just waited for 5:00PM. Ten minutes before five, the event calendar announcement flashed out of my cell phone screen, followed by an incoming message from Alvin saying that he is on his way. Very punctual did he arrived at an agreed time. We get into his dashing car and soon the wheels rolled. The wheels ceased to revolve in front of one of the unit of houses painted with streaks of empireal yellow. The sedan smoothly parked into the covered garage and from there we alighted. We then enter the house and immediately bedazzled with the radiance of glimmering golden room decked with cherubim emanating a sweet silent sound of a heavenly home. I can’t help but get entranzed by the surroundings and be beaconed to comfortably lounge in one of the lovely Victorian couches. As my eyes wonder around every details of the living room, I got captivated at the sight of Judith sitting beside the angels. This inevitably made me tease her with her angelic role in the drama fest twenty years ago. Five minutes later Alvin’s household staff brought in some sodas for our refreshment. As I enjoy the sizzling perk of this tingling sensation of a drink on my tongue, Alvin told us to wait a while until he finish his meeting with the medical representatives. I then took the opportunity to take pictures of seemingly celestial abode and to try my luck with the Alvin look alike one and half year old daughter. After a quarter of a minute a very fair lady with a long dark black hair descended from the stairs to greet us. She sat right across me and from there I could clearly see how well had Alvin taken care of her skin. My tongue could no longer hold to utter words of adulation. Hers is a flawless silky white skin that would drop the jaw of anyone who crosses her path. She then relayed the skin regimens that she had undergone. Moments later, a cute little girl by the age of four or five strut down the staircase and joined her mother. The stark contrast in their complexion gives a visual testimony of how well A.R.M products do its job. In her one can see a beautiful future of what and A.R.M. users can be. Past an hour lapsed, the medical representatives bid their farewell. Judith and I then proceed to the dining room after Alvin called for us. Without wasting much time he gave us presentations of his numerous products. The first part was like a review of skin histology. It is quite amusing to see how the “Bonging” of the class whom his cheatmates used to coach is now the one giving a lecture. After skin overview, he introduce the different processes by which soap is made. This portion was like a supplementary class to soap making class in one chemistry subject we had years ago. This is then followed by introduction of wide arrays of skin soaps. But he emphasized on the need to treat the pimples or acne first had any client manifests such skin problem. Si he showed us the batch of Anti-bacterial soaps like Guava soap, T3soap and Sulfur Soap with Salicilyc Acid. The next batch are the hypo-allergenic soap like Oatmeal soap. After these he brought out the whitening soaps: Black Pearl, Bleaching, Calamansi, Green Papaya, Kojic Acid, Mushroom Soap, Papaya and Milk, Pineapple, Tamarind, vitamin C, Licorice Soap, Burberry, Glutathione and Singkamas. He then proceded with Anti-wrinkle soaps: Carrot, collagen, Green Tea, Placenta and Tretinoin. He then move on to acquaint us with other soaps like moisturizing soaps: oatmeal with honey soap and goat’s milk. The soap lesson was concluded with accessory soaps like Musculine Bar, Coffee for slimming and deodorant and Prosperity Soap. After the soap lecture comes other forms of skin care products like those in solution forms, lotion forms, and cream or gel form be they for whitening, toning, anti-acne,moisturizing, sunblock, anti-wrinkle or body scrub. He emphasized on using the middle and ring finger in applying these on face. Then the last part of the presentation is the medical procedure for a more aggressive skin whitening. With this comes the surprising models: his household helps to whom he had these procedures applied in gratis. This revelation made me lift myself off my seat to joke about my envy and interest to be hired as his house personnel. It dawned on me that in that home, the household staff were like Eliza Doolittle on their way to becoming lovely fair ladies. Alvin Matulac is the twenty first century Proffessor Higgins. Supper was served in between the seminar. Alvin and Joy provided us with an abundant amount of roast pork and fresh lumpia. I had stuffed myself so much that made me feel sleepy and so hardly catching up with the chaining words of Professor Alvin. Thanks to technology that recording is made easy via cellular phone. After the lecture, the products that were presented is for us to keep. Alvin, who is such a nice chap, had the grace of providing us with a company cotton fabric bag to give dignity to our luguage. But before leaving we had our pictures taken for a souvenir. Yet, that is not where Alvin’s generosity ended, together with his wife and his look-a-like daughter, he drove us all the way from Quezon City to Pasay City, in order to make sure that we get home safe. We get off from car extremely grateful for we are blessed with an ARMfull (the acronym in A.R.M. 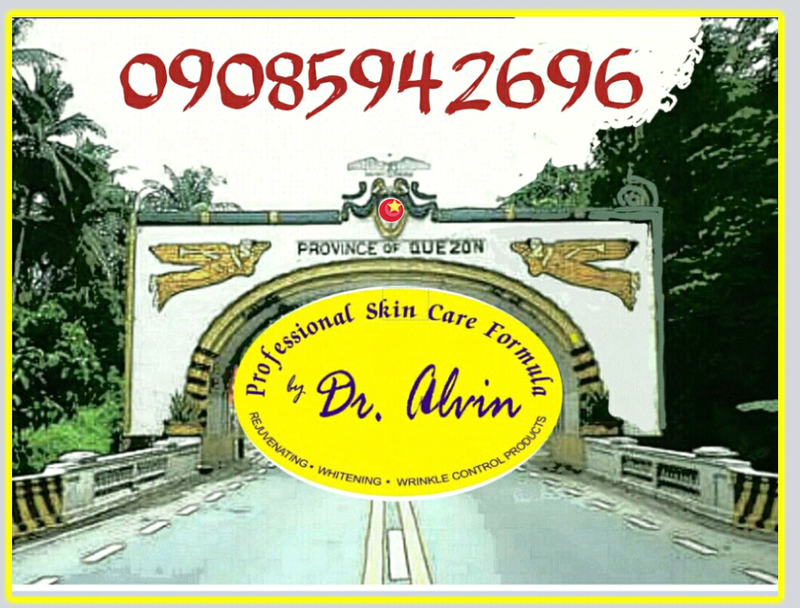 Skin Essentials Corporation stands for Alvin R. Matulac. ARMful is a play of words to signify that we are recipients of the benevolence of A.R.M Skin Essential products and services). Alvin, for section A is the “Bondying” or the baby of the class. His manner of being gives delight to the group in a way a whole family takes pleasure over their youngest sibling. Much to our amusement is his childlike hanging on the arm while we cross the pedestrian of España and his fidgeting over a fright of being discovered by his mother that he joined the class excursion. Yet, life indeed is full of surprises. Who will suspect that the easy going Med. Tech student Alvin is a Beauty Products Manufacturer in the making… a man who will provide jobs to more than a hundred Filipinos, a man who gives business opportunity to entrepreneurs here and abroad, a man who supplies to the country’s well known beauty doctor of the stars, a man who applied an iron hand to thefts and scandalous staffs and most especially a man who confirmed that Beauty is only skin deep and hence is achievable through your middle and ring finger tips.